Suspension kits available for commercial as well as passenger vehicles of Tata's section. 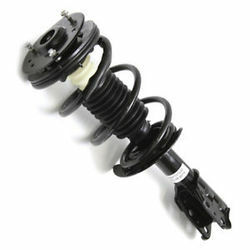 Also separate parts like coil spring, shock absorbers , lower arm etc are available too. With fast developing infrastructure and better road conditions, heavy vehicles sector is growing at a great pace in India. Air Suspension System for Bus and Trucks. .
eavy commercial vehicles is a growing sector. All K suspensions are available in both normal-height and lowered-height versions. They come in kits or pre-assembled on a sub-frame, ready to be installed on a vehicle's side members. 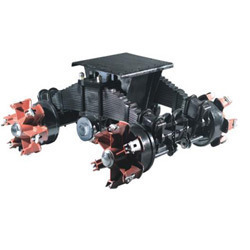 Used typically for short travel length, these are used for straight monorail beams.